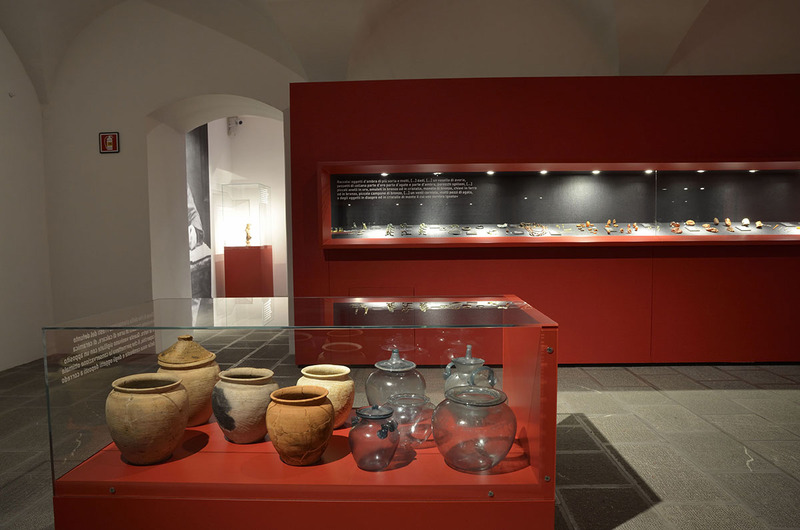 The Archaeological Museum is housed on the ground floor of the eastern wing of the castle in a new setting inaugurated in 2013. 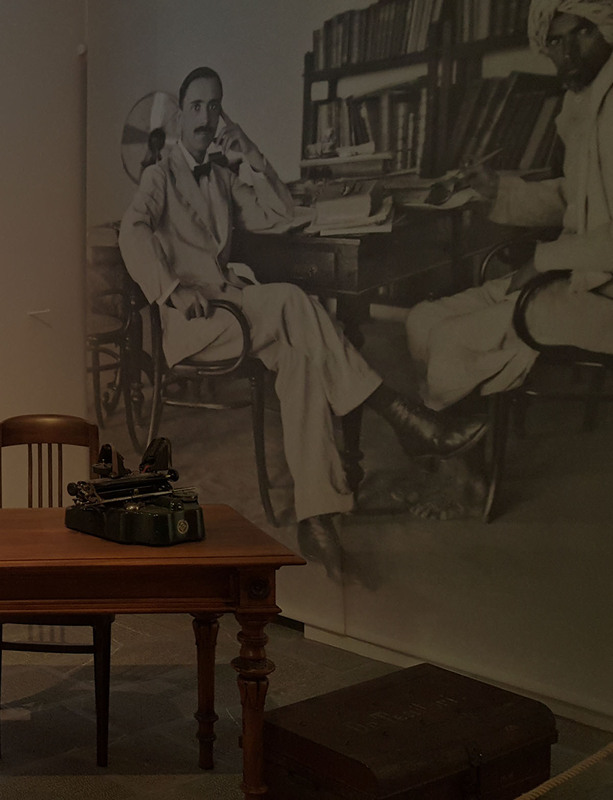 The current exhibition layout follows a historical itinerary which, thanks in part to the addition of multimedia aids, highlights the collectionist nature of archaeological research between the late 1800s and early 1900s. 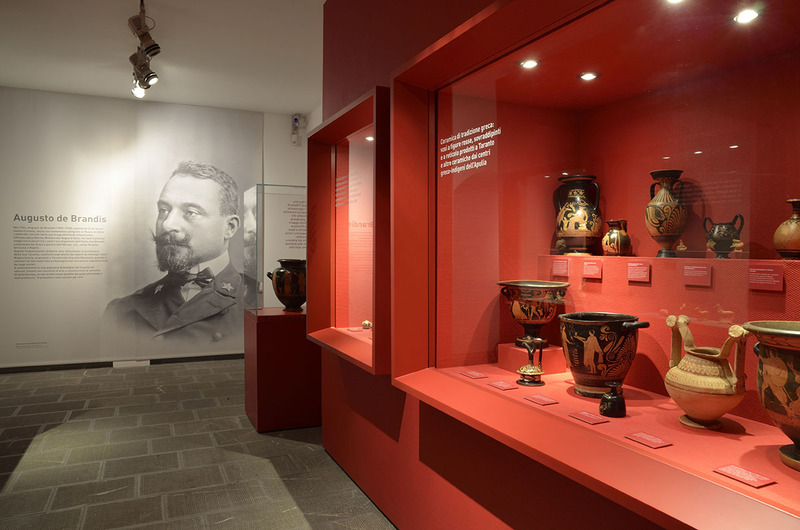 The museum is divided into six rooms dedicated to the different interests and activities of Friulian collectors and scholars and displays finds ranging from vases from Magna Graecia, to protohistoric, Roman and early medieval funerary objects. 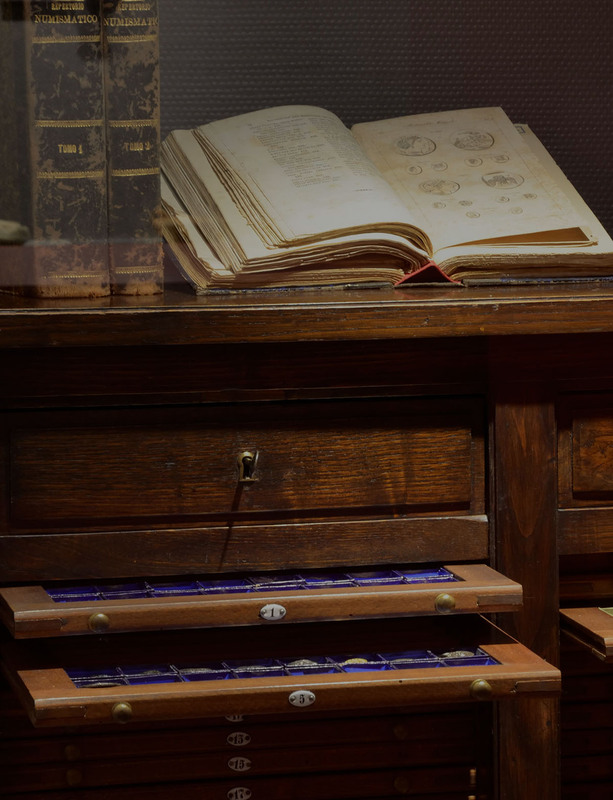 The displays offer a fascinating insight into the minds of the collectors themselves, whose personal and intellectual curiosity was generally more focused on the search for rare and aesthetically pleasing artefacts than on documentary research per se. 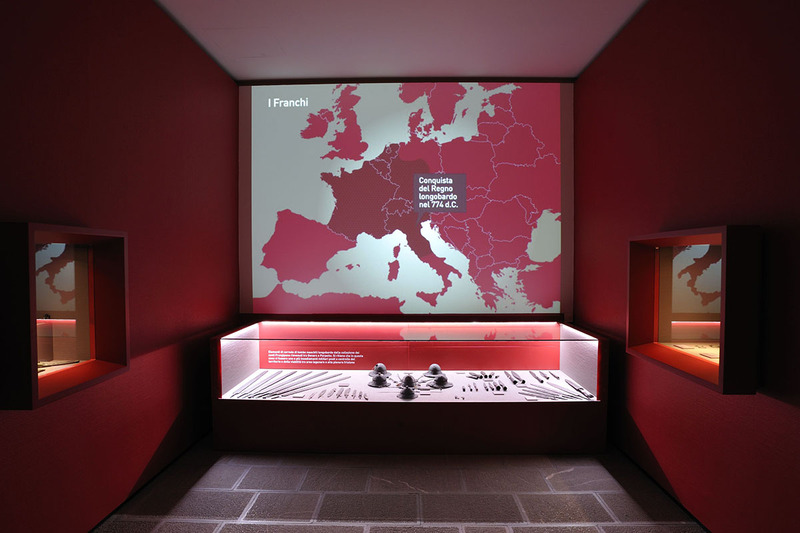 Since 9th November 2017, thanks to the European project COME-IN!, the Archaeological Museum offers a multisensory itinerary together with an inclusive APP presenting an itinerary in Italian for people with visual impairment, and a guided tour in French, English and Italian. An integral part of the itinerary of the Archaeological Museum is the Playroom (open every Sunday from 15.00 to 17.00), a specially equipped area devoted to games, reading, experimentation, workshops, and child-friendly facilities. Click here to download all the materials for a visit with your kids! The Museo Archeologico di Udine with the collaboration of the Museo Friulano di Storia Naturale is currently conducting officially approved archaeological excavations at the Neolithic and Eneolithic site of Nogaredo al Torre (UD). Research carried in the flood plain has so far revealed a pit and an anthropic layer rich in archaeological finds which are currently the subject of ongoing study. Migration is, and has long been, a key factor in the formation of European society. Indeed, both archaeological and genetic evidence demonstrate that periods of greatest economic change often coincide with the arrival of new peoples. This is what occurred in the Balkans and the Adriatic area 8,000 years ago, when peoples from the Fertile Crescent travelled to these lands and introduced innovations such as livestock farming and agriculture, radically transforming the lives and practices of the communities of hunters and gatherers whom they met on their way. At present it seems that these migration flows followed two directions: one maritime, along the coasts, and the other more inland. Research into this period was recently initiated by the Museo Archeologico di Udine, which explored the theme in an exhibition Adriatico senza confini. Via di Comunicazione e crocevia di popoli nel 6000 BC (The Adriatic, a sea without borders: communication routes of populations in 6000 BC). In 2018 the Museum will conduct research on vertical migration: transhmance in the Carnic Prealps. From the end of the Neolithic period until the 15th century Friuli was distinguished by the presence of fortified settlements which also characterize the unique morphology of the region. It is an interesting phenomenon and certain aspects emerging from recent research were explored and partially analysed during a meeting held at the Archaeological Museum in 2014 entitled: Difendere il contado: proprietà collettive in montagna. Dalle “cortine” medievali in Carnia alle Regole di Cortina d’Ampezzo (Defending the Contado: collective mountain property from the medieval ‘cortine’ of Carnia to the Regole di Cortina d’Ampezzo). This initiative will be followed in 2016 by the organization of a conference dedicated to fortified settlements in mountain areas from prehistoric times to the 15th century. Since 2014, the Archaeological Museum of Udine has been pursuing equal opportunities in culture policy aimed at improving access to exhibitions and other cultural events in the city. To launch the new policy, which was introduced in June 2014, the museum organised a seminar entitled “Museums without barriers” in collaboration with the Laboratorio dell’Accessibilità Universale at the University of Siena, which organises workshops on accessibility. The seminar was open to educators, and all employees and professionals who, by virtue of their work with people with disabilities and special needs, frequently encounter museum accessibility issues. 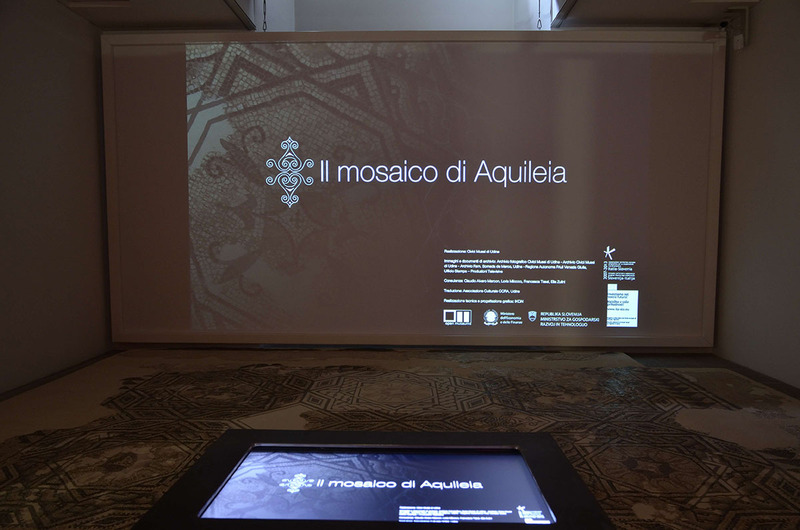 Following on from the seminar, the Museo Archeologico began to explore ways of addressing certain accessibility issues through an exhibition entitled Adriatico senza confini. Via di comunicazione e crocevia di popoli nel 6000 BC (The Adriatic, a sea without borders: communication routes of populations in 6000 BC). 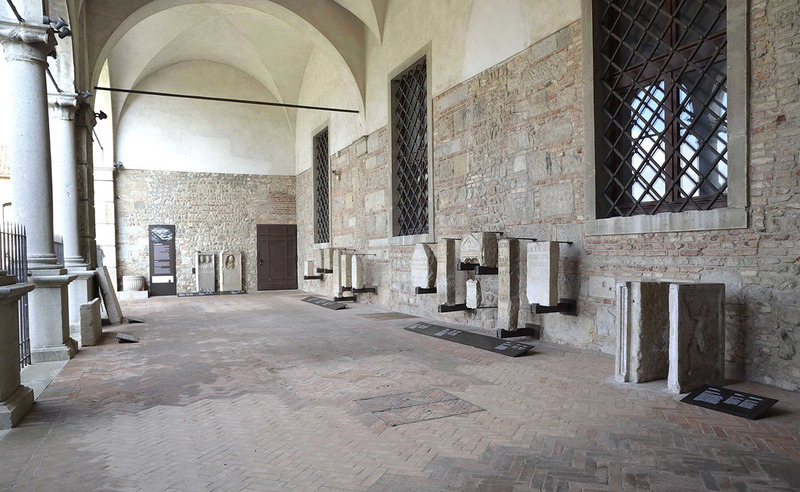 Building on this experience, the Museum staged another exhibition in 2015 entitled Mense e banchetti nella Udine rinascimentale (Meals and Banquets in Renaissance Udine). The Museum is currently working with 14 other partners from Italy, Poland, Germany, Austria, Croatia, Slovenia on a European project entitled COME-IN! (Cooperating for Open access to Museums–towards a widEr INclusion) project is funded under the Interreg CENTRAL EUROPE Programme and aim s at valorizing the CENTRAL EUROPE cultural heritage by increasing the capacity of small and medium size museums, making them accessible to a wider public of people with different kinds of disabilities. The Central Europe an Initiative–Executive Secretariat, in its capacity as Lead Partner, coordinates a multifaceted network of 14 Museums, Disability associations, Academic representatives, training institutions and Policy makers from Central Europe area that will contribute to define transnational high level standards and ensure know–how transfer to guarantee accessibility to museums involved in the project. More precisely, guidelines will be develop to help organizing accessible collections and exhibitions and a training handbook for museum operators will be made available. Last but not least, an innovative promotional tool, the COME-IN! 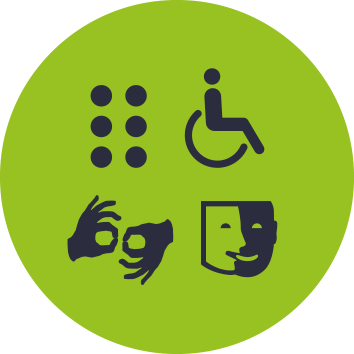 label will be developed to award museums complying with the established accessibility standards. The label will be promoted on transnational, national and local level to ensure its sustainability and transferability. The project started on July 1st, 2016 and will last until June 30th, 2019. The budget is 2.724.487,50 euro, with 318,500.00 euros allocated to the Archaeological Museum of Udine, which allowed the Museum to carry out multiple interventions. The Archaeological Museum contains finds uncovered during excavations carried out at Italian and foreign sites. The list is broken down by geographical area and for some of the sites inventory cards are currently on-line. 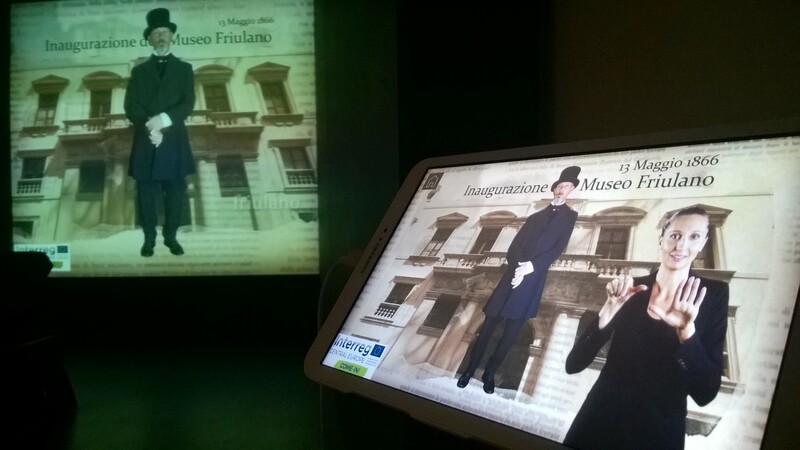 The museum itinerary begins with a video presentation in which an actor plays the part of Francesco di Toppo (1797-1883), a leading member of the Udinese nobility and esteemed collector of archaeological and literary artefacts. In 1866, di Toppo became president of the Commissione archeologica pel Friuli (the Archaeological Commission of Friuli) as well as Honorary Inspector of Aquileia. On his death in 1883 his archaeological collection was donated to the museum. The video takes today’s visitors back in time to 13 April, 1866, the occasion of the grand opening of the Museo Friulano, which included amongst its collections those currently held in the Museo Archeologico. Augusto de Brandis (1870-1928), also a member of an important noble family, bequeathed his impressive collections to the Museum in 1924. These include 400 pieces of pottery dating back to between the seventh and first century BC, as well as a numismatic collection consisting of 6,000 Greek and 8,000 Roman coins. The most important artefact in his collection is a stamnos attributed to the painter Menelaos, an Athenian pottery painter active in the second half of the fifth century BC. The extensive collection of ceramics ranges from vases produced in Corinth and Athens during the seventh century BC, to Magna Grecian and indigenous Greek ceramics. 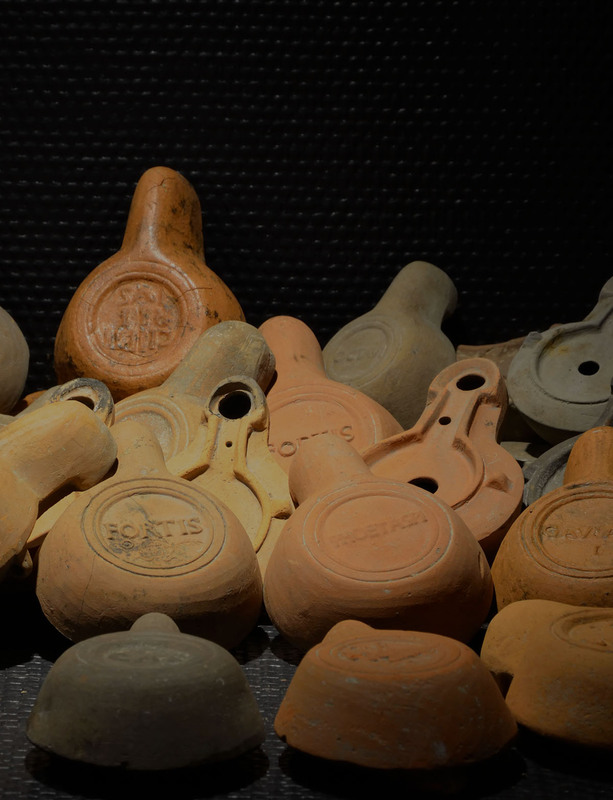 Also of interest is a collection of clay oil lamps (over forty in all) and examples of a particular type of artefact found in the necropolis of Taranto. 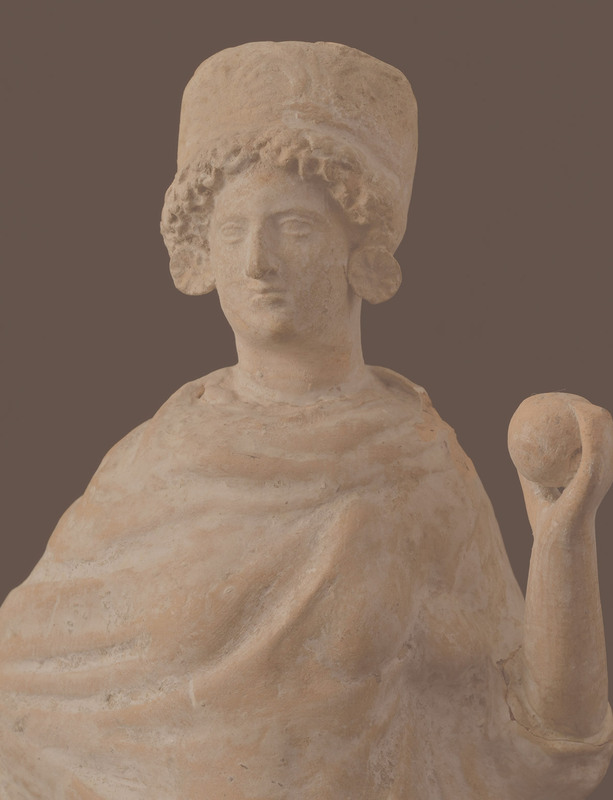 The cultural fervour that led to opening of the Museo Friulano encouraged many nobles, scholars and religious figures to donate their archaeological artefacts to the Institute. Many of these are of considerable aesthetic and documentary value, among them: protohistoric objects discovered at the site of the necropolis and settlement on Moruzzo hill, which were donated by nobles from the Gropplero family; Roman finds belonging to Countess di Prampero Peretti; and Lombard artefacts from the necropolis of Planis donated by Count Antonino di Prampero. Also of major importance are the Roman era bronze bust of a Maenad, a gift from Giulio Andrea Pirona, and the marble alabaster bust of Serapis, donated by Giuliano Mauroner. In 1859 Francesco di Toppo began his archaeological research in Aquileia, concentrating predominantly on large burial areas. 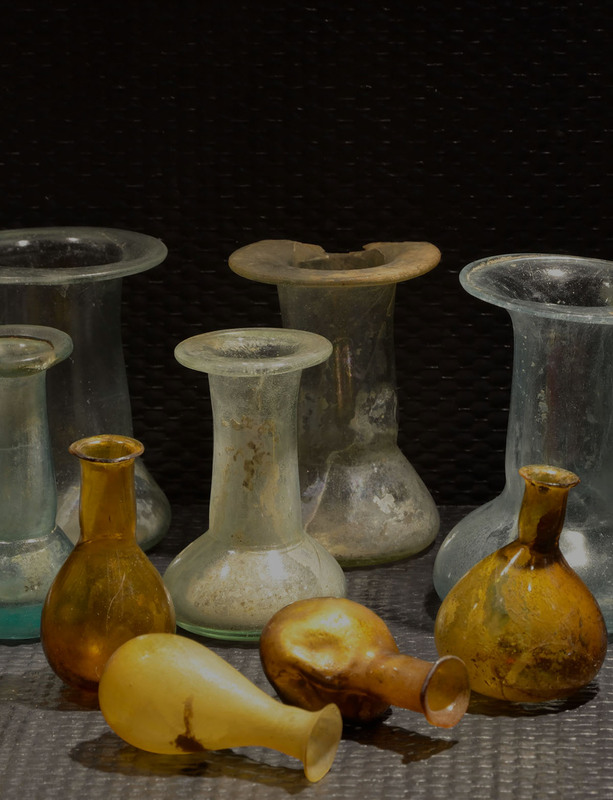 Of particular note among the various funerary objects discovered are examples of glass and terracotta ointment jars, including a rare rhyton in blown glass dating from the first to the second century AD; eighty lamps; ceramic containers for funeral libations, including a glazed ceramic single-handled jug from the fourth century AD, and a Saint Menas ampoule. Reconstruction of the grave goods has proven difficult, however, on account of the fact that di Toppo arranged his collection by category. As evidenced by the artefacts displayed in these rooms, the phenomenon of collectionism certainly played a fundamental role in the preservation of our cultural heritage, as it did in the creation of most of our public museums. Today, however, its importance has since passed: indeed, the decontextualization of artefacts can impede the historical reconstruction of archaeological sites on which modern-day research is based. The floor mosaic displayed in this room, which was discovered on Ritter land in Aquileia and added to the public collections in 1933, is a case in point, testifying to the fact that museum acquisitions during the period were largely selected on aesthetic rather than documentary grounds. 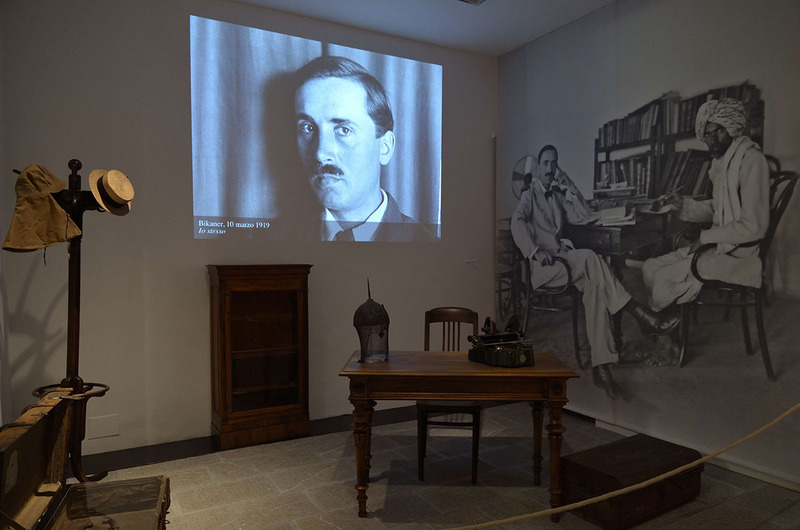 The final room is dedicated to Luigi Pio Tessitori (1887-1919) and archaeological research undertaken in foreign lands. Tessitori, a member of the Friulian nobility, travelled to northern India in 1914 to devote himself to the study of Bardic literature, popular legends and folk traditions. His encounter with Sir John Marshall, Director General of the Archaeological Survey of India, gave him the opportunity to turn his scholarly attention also to archaeology, and in addition to conducting his own research, he was to play a decisive role in the creation of the Archaeological Museum of Bikaner. Taking inspiration from photographs of his studio in India, the room evocatively displays the objects that belonged to him, including items from his collection of Indian weapons, as well as printed books and manuscripts. The itinerary continues outside the museum, under the covered walkway of the castle, with the Lapidarium. 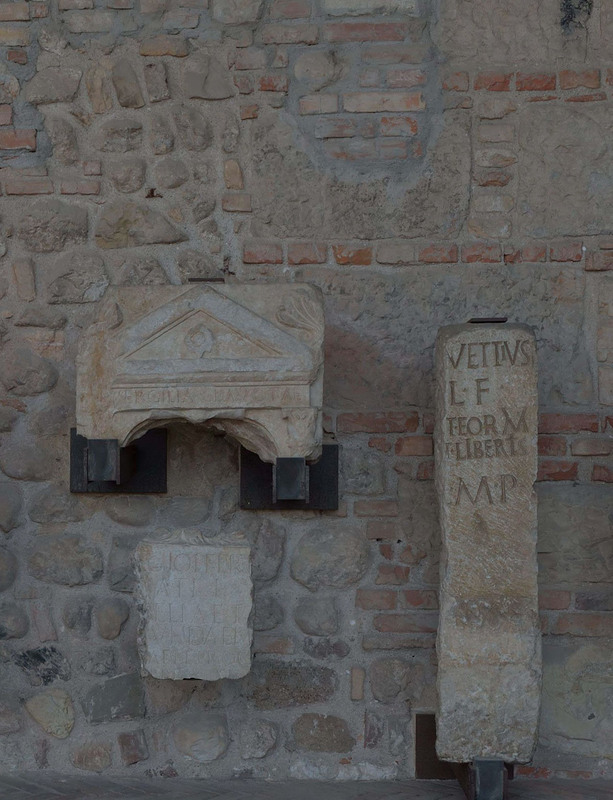 Here one finds monuments, sculptures and epigraphs of Roman origin, mostly from the collections of two local Counts, Gorgo and the aforementioned di Toppo, who owned land in Aquileia and its surrounds. In addition to these, a number of items that were the result of chance findings or had been re-used in various buildings are also exhibited. As for the thematically divided artefacts on display, these mostly explore necropoleis and ancient road systems. The itinerary of the Archaeological Museum ends with the playroom, which is open to the public and it offers games with which families and young visitors can freely play, even without the presence of museum operators. In the Playroom, children will experience the museum in an unconventional way. 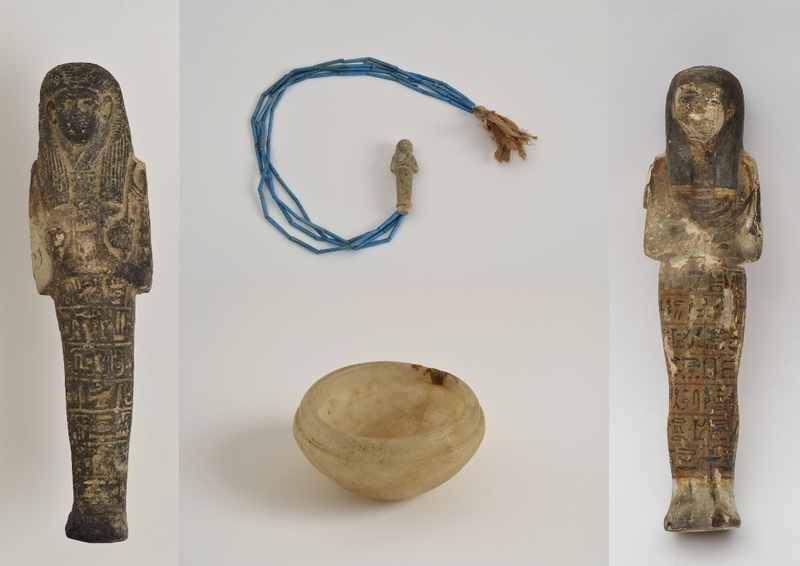 The playroom also displays the Egyptian collection of the museum, donated by Riccardo Mattencloit-Ubelli. His aunt, the countess Olga Meraviglia-Crivelli, received those finds as a gift directly from Lord Carnavon, the famous explorer who discovered Tuth-Ank-Amon’s tomb. The batchis not homogeneous, but made of various objects from different parts of Egypt, which in the early 1900s were sold as souvenirs, and sometimes they were even modified to be worn as jewels.